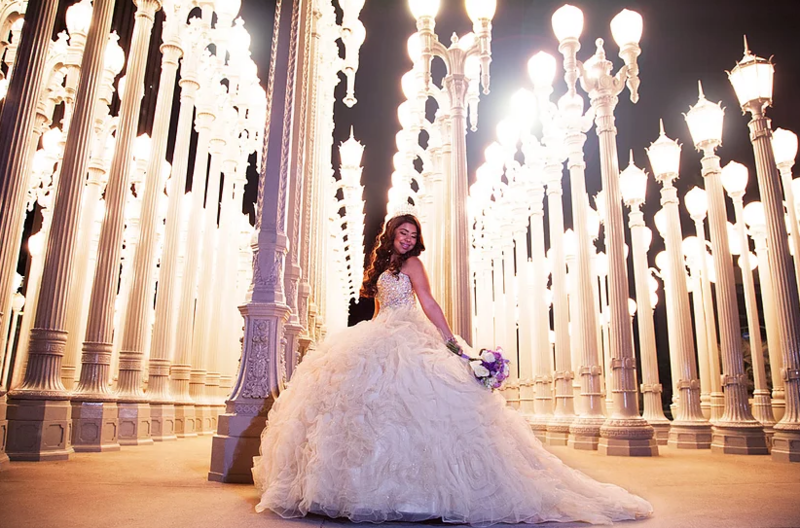 14 Best Spots In Los Angeles For Your Quinceañera Photoshoot! Excited for your upcoming quince? 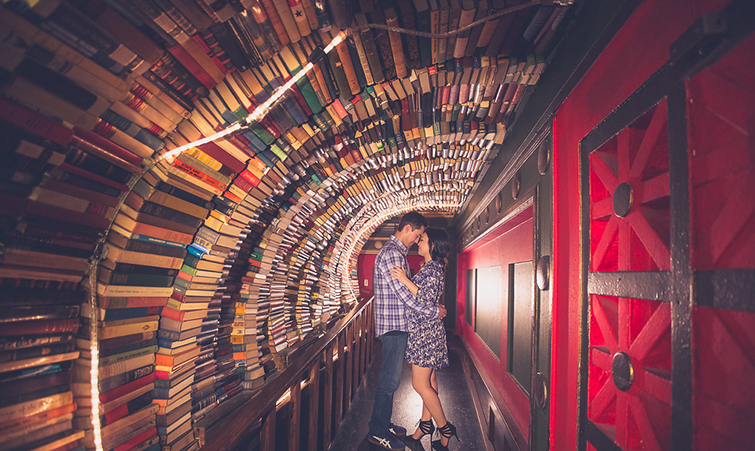 If you’re in the middle of planning, you may be wondering about your quinceañera photoshoot. After all, how often are you in a gorgeous ball gown surrounded by your friends? 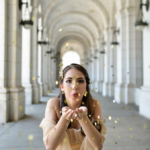 The occasion definitely calls for an amazing photoshoot! And if you live in the Los Angeles area, you’re in luck—L.A. 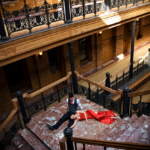 is a wide and diverse city with all kinds of backdrops and locations for photography. 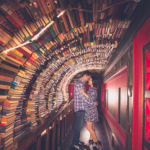 You’ll be able to have your pick of anything from colorful gardens to the classic, time-warp atmosphere of Union Station. No matter what your personality and interests are (books, fashion, horses, movies, sports, politics), you can find a perfect Los Angeles backdrop that suits you. 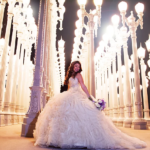 Take a look below for some of the top spots in L.A. for your quinceañera photoshoot! 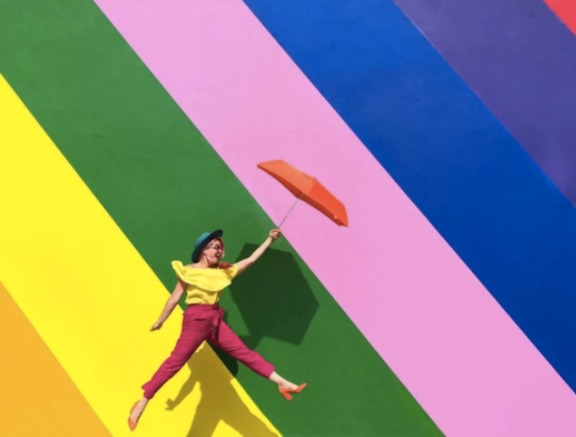 If you’re on Instagram, you’ve definitely seen users posting photos of the famous Paul Smith walls. 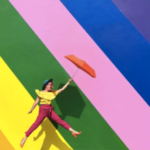 Whether it’s the bright pink wall or the rainbow-striped one, both provide fantastic options for the ultimate fun and colorful quinceañera group shots. 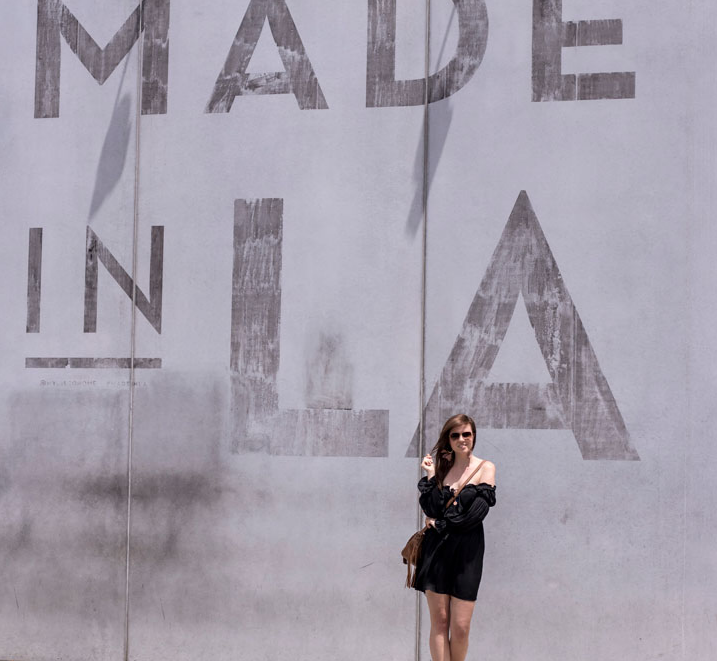 Were you made in L.A.? If so, tell the world! 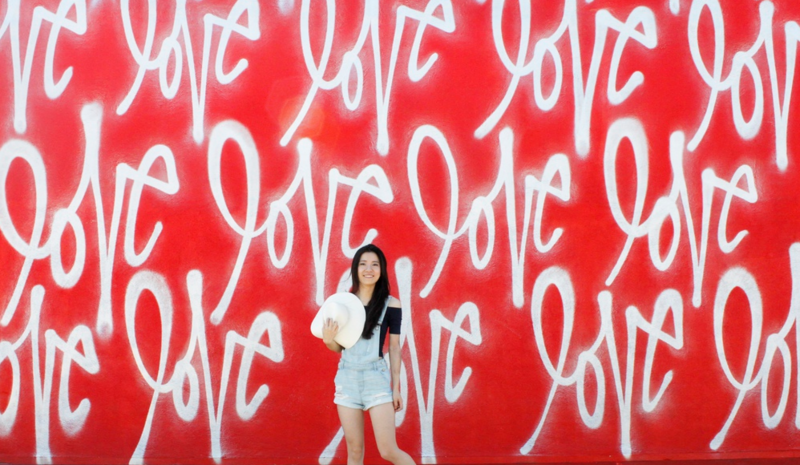 This wall (which can be found on Melrose Avenue) is perfect for a quinceañera who’s California born and bred. It also makes for great group shots, and your bright quinceañera gown will really pop next to the neutral shade. Made in L.A., indeed! There’s a reason that the Urban Light installation at LACMA is one of the most popular areas for photoshoots: it’s beautiful and dramatic. 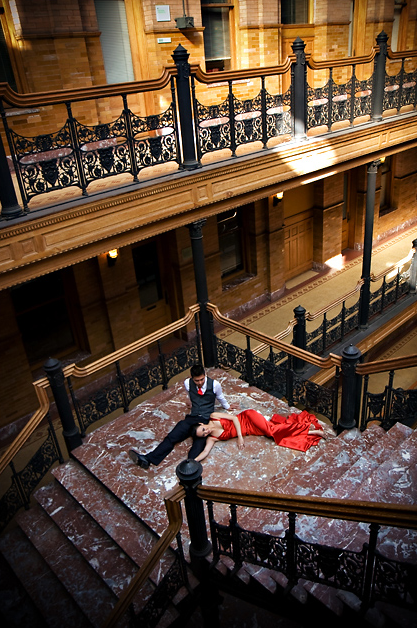 For the ultimate atmosphere, schedule your photo shoot here during the darker hours. 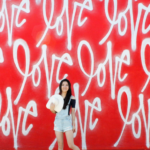 One of Los Angeles’s best backdrop walls, this one located at Smashbox Studios just cries out LOVE! 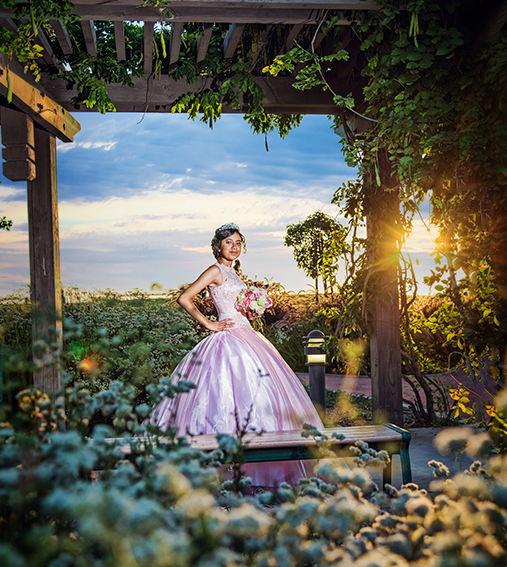 It’s bright, modern, and colorful, and youthful—just like you, making it perfect for a quinceañera photoshoot! This amazing location in Agoura Hills has belonged to Paramount Pictures since the 1920s. It includes a vast amount of land, rustic-feeling wooden structures, and unique feel, making it a beautiful spot for photoshoots. The L.A. River has been used for countless shoots, including TV, commercials, music videos, and movies—not to mention engagement photos, wedding photos, and yes, quinceañera photos! Its historic bridges, views, and atmosphere make it a popular area for striking pictures. 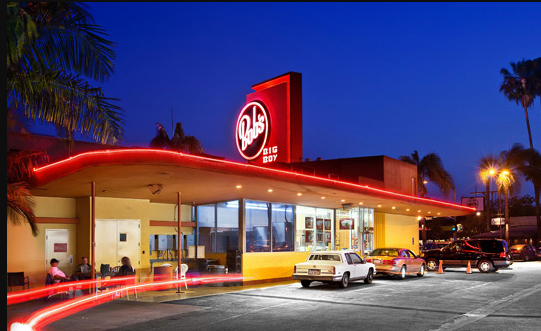 If classic cars is your thing—or just fun vintage settings—consider Bob’s Classic Car Show for your quinceañera photoshoot. 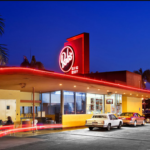 Every Friday night, gorgeous classic cars park at the famous diner, and you’ll most likely be able to get some of the proud car owners to let you pose with their car. Venice Beach is knowng for being a highly-energetic, busy place. But close by, away from all that noise, are the Venice Canals. 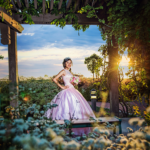 These canals are surrounded by beautiful bridges, bursts of floral color, and scenery that provides a gorgeous backdrop for quinceañera photoshoots. 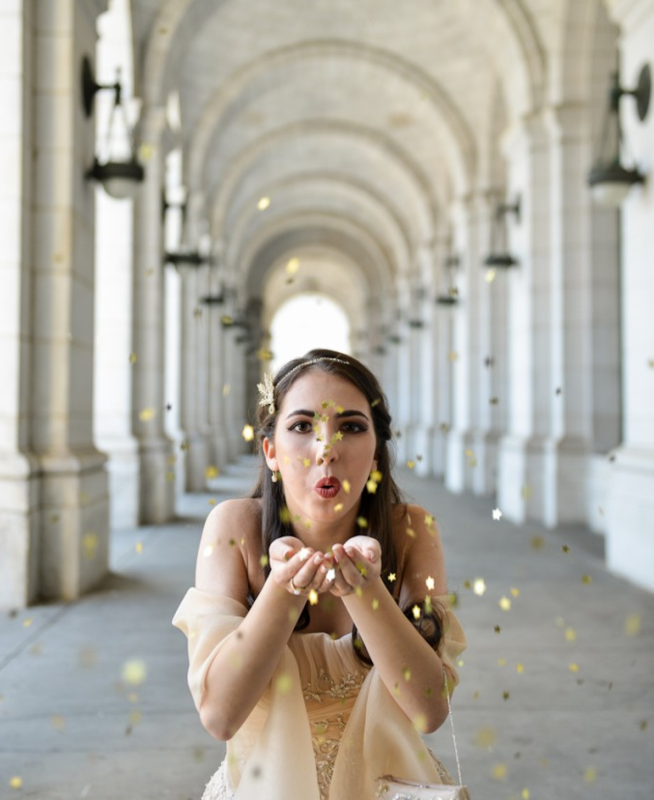 And of course, if you find a great Los Angeles event venue for your party, there will be plenty of great areas inside for a quinceañera photoshoot as well. 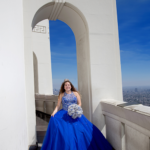 A stunning backdrop like ours at Hollywood Banquet Hall will look incredible on your big day! 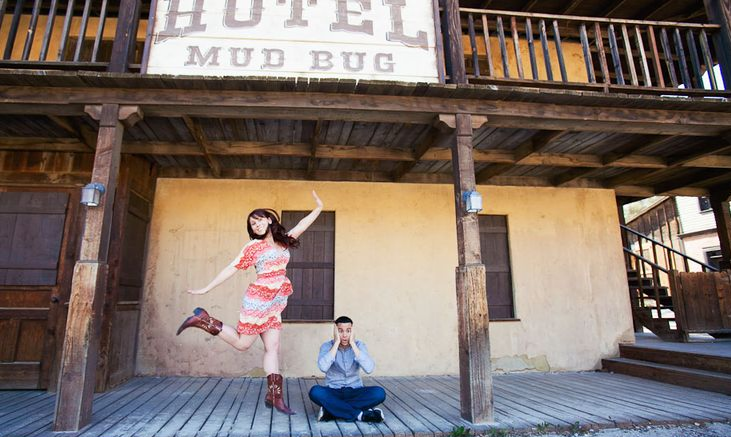 And remember, your quince photos are just PART of the occasion. We make sure that every aspect of your party will go perfectly, from the music to the food to the photos! 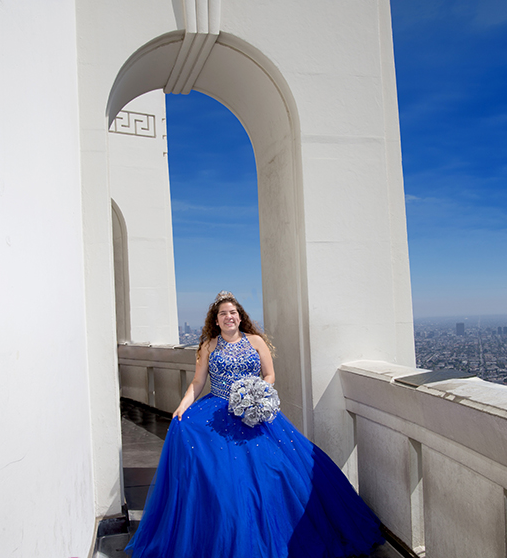 For more information about our quinceañera events at Hollywood Banquet Hall, please feel free to contact us!